I miss dressing up. Here's an old (ish) one of me from March, ready to go to the Mass Effect: Andromeda launch party hosted by BioWare. 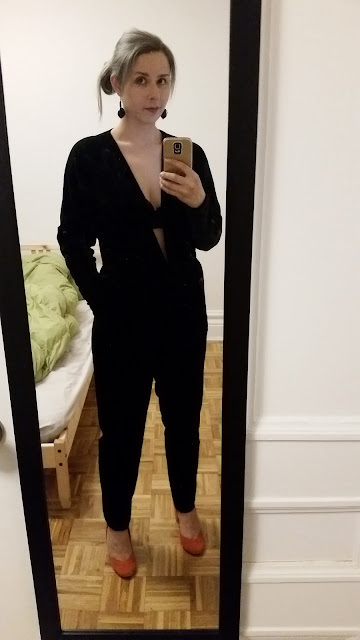 3 awesome things about this body suit 1) it's as comfy as jammies 2) it has pockets! 3) it's velvet.